Ahh..Cinnamon. The warming, sweet and delicious spice that is known for its potential to help balance blood sugar levels, lower cholesterol and fight against yeast infections among other conditions. Like with most things, the better the quality, the more effective and functional it will be. Cinnamon is no different. 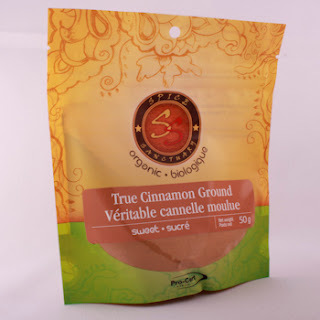 In North America, there is no need to distinguish true cinnamon from another variety of cinnamon which is more inferior. 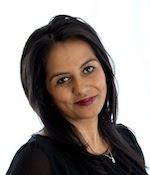 The quality difference also defines the potential impact on health. Studies have consistently found that Cassia cinnamon has significantly more couramin levels than True or Ceylon Cinnamon. Couramin in high doses can cause liver damage and potentially issues for blood clotting. In one study, On average, cassia cinnamon powder contained up to 63 times more coumarin than Ceylon cinnamon powder and cassia cinnamon sticks contained 18 times more coumarin than Ceylon sticks. Sadly, you only need a little bit of Cassia to reach your tolerable daily limit (TDI). A more recent study in Germany found that, for an adult with a body weight of 60 kg, the TDI is reached, if 2 g of Cassia cinnamon with average coumarin content are consumed per day. For an infant with a body weight of 15 kg, this is the case if 0.5 g of Cassia cinnamon with average coumarin content are consumed per day. Consumers who frequently eat large quantities of cinnamon as a spice should therefore opt for the low-coumarin True cinnamon. True Cinnamon is more expensive but clearly better for you. The real Cinnamon is more commonly known and sold as True Cinnamon or Ceylon Cinnamon to differentiate it from all other varieties. True Cinnamon is derived from Cinnamom Zeylanicum or Verum and is usually grown in Sri Lanka or India whereas other Cinnamon could be from China, Indonesia or Vietnam is usually a derivative of Cassia, often known as Saigon Cinnamon or Chinese Cinnamon. In North America, Cassia can be called Cinnamon, hence the consumer confusion that arises. True Cinnamon (below top) is usually light brown to pale tan whereas Cassia (below bottom) is usually much darker, verging on a reddish brown colour. 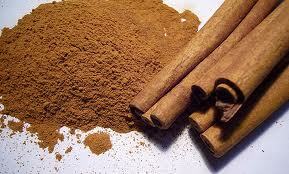 Both forms of Cinnamon can be bought in quills, bark or ground form. If you look at our grades of taste profiles for spices (hot, pungent, tangy, sweet & mild), the true cinnamon would be a sweet spice. True Cinnamon in its ground form is very dusty in texture and still light in colour. It is sweet smelling and has woody undertones with no lingering bitterness or pungency. By comparison, Cassia is slightly coarser in texture and does have a slight bitterness to it and the powder is darker and redder. 4. 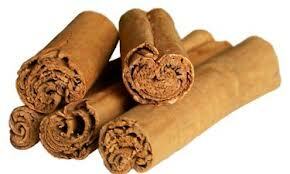 Savoury: Cinnamon pairs really well with Chili so try adding a little bit to curries and any Mexican dish! Know what you buy and why you are buying it before you buy it.